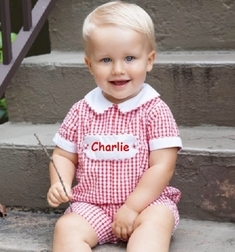 We just love this simple by elegant red gingham romper for little boys. 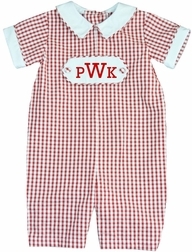 It has a white pointed Peter Pan collar, white trim on the sleeves and a white monogrammable tab on the chest. Perfect for out and about with mom and dad and any occasion.